We scored another winner tonight in the Georgia State Park system. 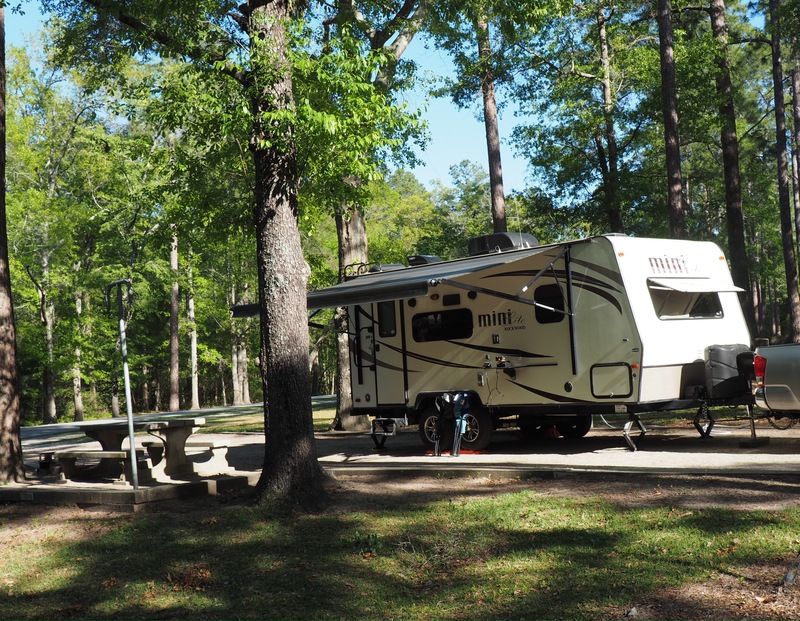 While we couldn’t ask for a more restful setting, Magnolia Springs hasn’t always been a quiet little campground. 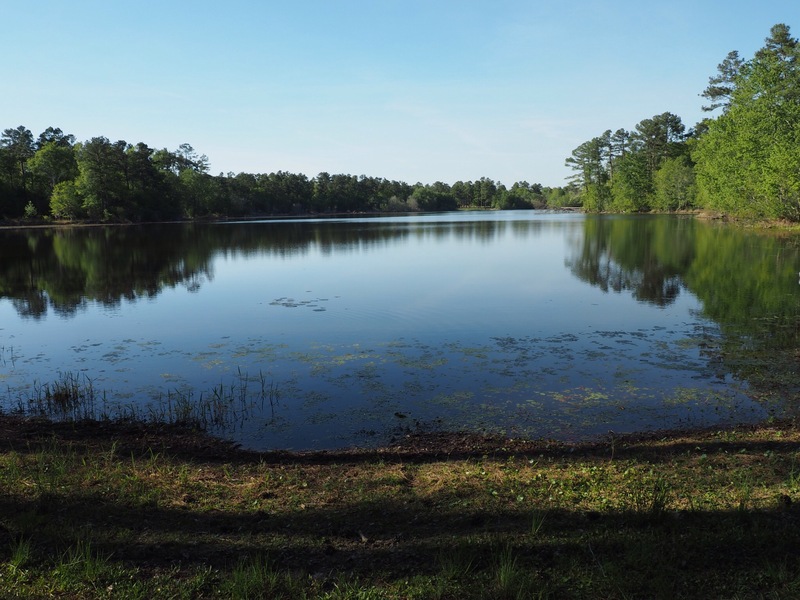 Magnolia Springs has a story to tell. Back in 1864 this area was known as Camp Lawton, a prison established by the Confederate Army to hold Union soldiers during the Civil War. It was thought to be the largest prison of its time. Although it was constructed, occupied and abandoned all within just three months, Camp Lawton still managed to house nearly 11,000 prisoners. The site was quickly abandoned as General Sherman and his Union troops advanced across Georgia. That was the end of the Camp Lawton story until 2010 when an archeological dig began. A history center opened in 2014. Both are located within the park boundaries. 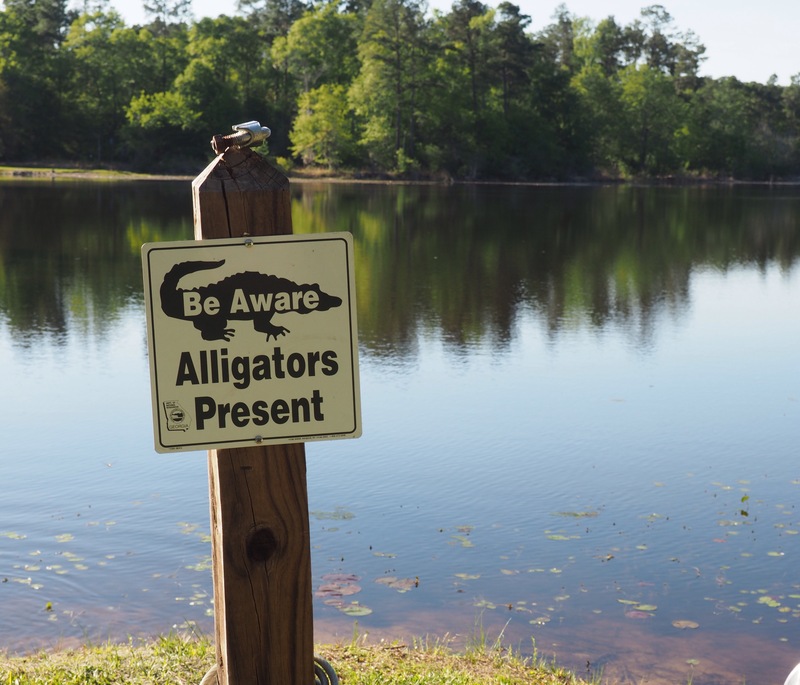 Today, Magnolia Springs Upper Lake appears to be a peaceful spot to soak up the sun, cast out a fishing line or paddle a canoe…and you can do all that, but beware!